Blogging is fun, exciting, and allows you to learn things you’d never imagine in your wildest imagination. It’s also one of the best ways to earn money if you want to live your life as a digital nomad. The best thing about blogging is that you can do it from anywhere in the world. All you really need is a laptop and Internet connection. When you start a blog you can work from home or travel whenever you want. We imagine that’s exactly what you want, right? And you know what? There are no clients to chase or fight with or better still no one to be the boss of you. You have complete control of what you write about and when you do it. Starting a blog is easy. Generating an income to sustain your finances, now that’s where the real work is. To make your blog successful and one that generates income there are 8 things you need to consider before you start. 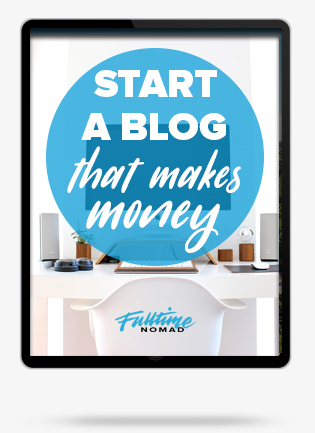 If you want to start a blog and make money from it you need to start with a plan. Where do you plan to go with your blog and how will you get there? If you don’t have a clear direction, you are setting yourself up for failure. By having a plan, you get to visualise your blog and its goal. You get to actually figure out what you’re working towards and what needs to be done and when to achieve your goals. It doesn’t matter at what stage you are with your blogging. Take a pause today and lay out your plan. 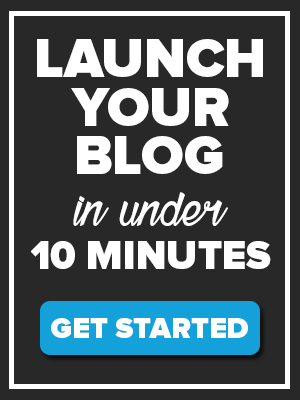 A vision for your blog. Set goals and plan to evaluate goals every month. Remember that blogging takes lots of work to succeed so you need to have realistic and attainable goals. Don’t try to do too much too fast. As a new blogger you’ll probably fall into the trap of blogging about anything that comes to mind. The thrill of having a blog may get too exciting that you forget the real agenda…to make money blogging. So hold your horses. Let’s stick with the plan. Remember the one you just made? 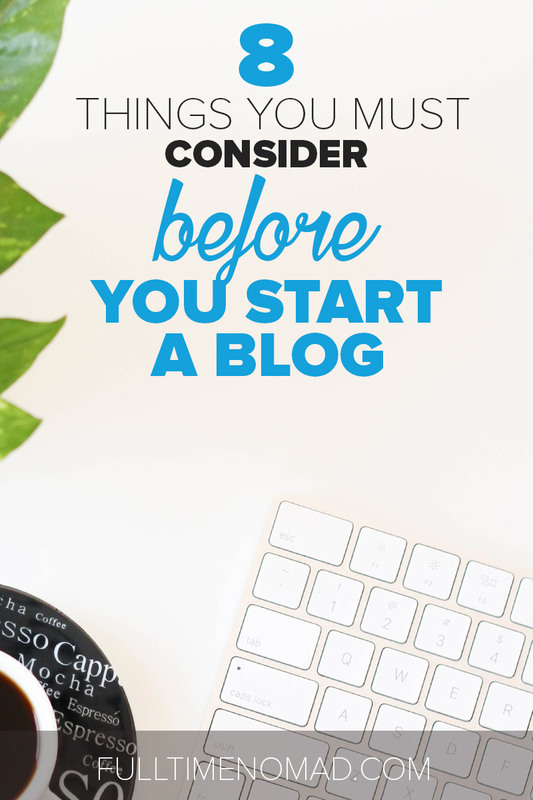 The first thing to consider before you even pick a name is to think about a niche for your blog. What area will your blog be covering? Don’t start a blog that has a broad range of topics, while trying to appeal to everyone and their cousin. You will simply end up confusing your readers. The best way to pick a niche is to think about a topic that you could enjoy writing and have no problem writing about it for the rest of your life. What are you most passionate about? A successful blog requires lots of high quality content. You will spend lots of time writing content so you need to write about stuff you enjoy. Imagine if you have zero knowledge or interest in software and computing and you decide that’s what your blog will be about. How long will it take you before you want to pull your hair out or die from boredom? 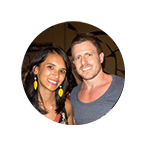 We are very passionate about digital nomad life and how to make money as you travel the world. It’s how we live our life! And that’s the niche we choose to cover at Fulltime Nomad. Once you have a niche in mind, think about subtopics (categories) within that niche. Our categories for instance, are digital nomad lifestyle, freelancing, jobs that you can travel with, and blogging. If you’re not sure of what to write about, we have a list of 80 topics in this post: How Do People ACTUALLY Make Money From Blogging? By outlining your niche and categories, you then get a feel of the direction you’ll take with your blog. You are then able to define who your ideal reader will be. It will also now become quite easy to find topics for your blog posts. Having a well defined niche and target audience allows you to focus your blog posts within that niche and make sure they appeal to your target audience. You might have heard that there are free platforms, like Tumblr or Blogger, where you can set up a blog. These are fine if you are not looking to monetise your blog. However, if you want to make money from your blog, you will need to spend a small of amount money upfront and set up your blog on a self-hosted platform like WordPress.org. Don’t be scared, it actually doesn’t cost very much at all. WordPress is also a good choice because it’s easy to setup and install, you can customize it however you want and it’s so easy to use the platform. And because it’s soo popular there are so many forums that offer support for any issue you may face. To use WordPress.org you will need hosting and a domain. It’s actually very cheap to set up a self hosted blog on WordPress. Way cheaper than you think. Hosting – For hosting we recommend Bluehost. Plans start at $2.95 a month. Domain – Domains cost around $10 a year. Free when you signup with Bluehost. Theme/Design – There are many free themes out there. Or you can buy a premium theme. Premium themes will cost anywhere from $30-60. 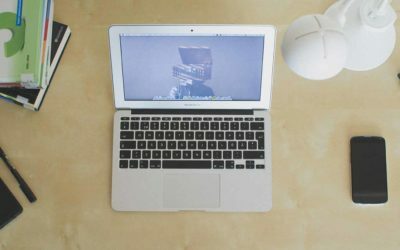 If hosting, domains and themes sound confusing, don’t worry this article shows you exactly how to set up your blog step by step. How do you earn money blogging? Just writing blog posts in itself won’t earn you any money. You have to monetise your blog. 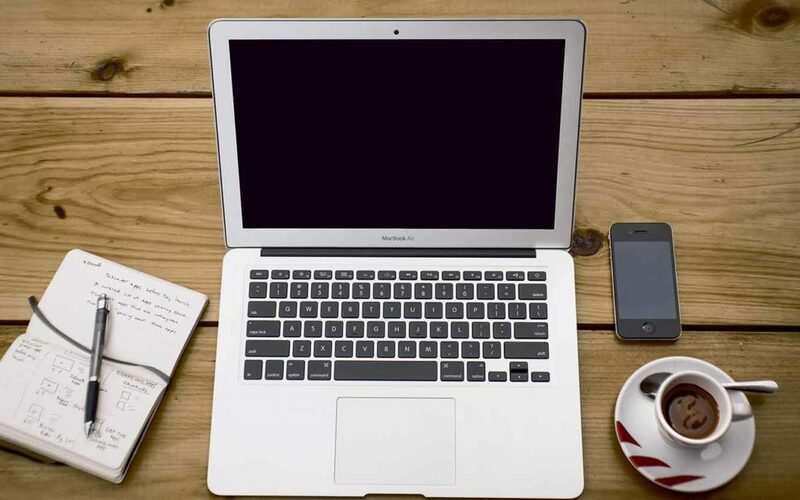 Take time to learn about the different ways you can monetise your blog. At the end of the day, turning your blog into a business that generates income is what you are trying to achieve. So become good at it. Affiliate marketing involves adding a link (affiliate link) or banner of a product or company on your blog and getting paid a commission every time someone clicks on that link and makes a purchase. Affiliate marketing is one of the best and easiest ways of monetising your blog. Is there are product or service that you truly love? Blog about it, get people to buy it and get paid! Affiliate marketing is considered a passive source of income because you can create just one blog post with an affiliate link today and continue earning from it years down the line. For affiliate marketing to work, you have to generate some buzz for your blog first. Web traffic is very important because the more people are reading your blog, the higher the chance of more people making a purchase. Once you have some fairly good web traffic, join an affiliate program for a list of products and services available for promotion. The secret to successful affiliate marketing is to promote products and services that are related to what you are blogging about. Payment for affiliate marketing is commission based. The commission is set by the seller. The more people buy, the more you will make. Post honest reviews: When you post a link on your blog, you’re basically telling people “I like this product/service. I endorse it.” You therefore, need to provide honest reviews both the good and the ugly. If you haven’t used a product/service say so. Share tutorials: People want to know the benefits of a product or service before they can buy it. The biggest question always is what do they stand to gain if they buy it. You can do tutorials analysing benefits of the products and services you’re promoting. You can also include tutorials on how to use these products and services. Have a recommendations page: Have a separate page where you post product/service recommendations. Your readers will be excited to have somewhere on your blog where they can checkout products and services that you consider valuable. Don’t overdo it: Keep your affiliate links at a minimum. Remember your blog is still about offering value even if you’re making money from it. When adding links to your posts, include them at the beginning, middle, and end only. Don’t fill the post with links. You’ll lose your readers. Selling ad space on your site is another popular way of monetising your blog. This is placing an advertiser’s banner on your blog and charging them a monthly fee. Advertisers are normally looking for bloggers with really good and high quality traffic as well as an audience that will find their products/services relevant. You can find advertisers by approaching businesses and negotiate a price. You can also use an ad network that does all the work for you for a commission. When looking for advertisers, go for businesses that will attract the demographic of your blog audience. If for instance you blog about gardening, try and find businesses that sell gardening tools online. Payment for ad space is done either by per 1000 impressions. This means you get paid for every 1000 times an ad is shown to website visitors. Or you can negotiate for a flat monthly fee. The quality of your traffic, number of impressions and your blog’s demographics will determine how much you can charge. This could be anything from $50 to thousands of dollars per ad. Businesses use sponsored posts to gain more exposure from highly popular blogs. Sponsored posts are posts written by someone else and then pay you to post them on your blog. Cool right? This sounds quite lucrative and you may want to accept every post brought to you but you need to be very picky if you want to keep the reputation of your blog on a positive note. Only partner with brands that are a good fit for your audience. Digital products are products that customers get to view online or download and save them on their devices after purchase. There are very many digital products that you can create and sell to your blog followers and other people in other platforms. Popular digital products that can earn you really good money include e-books, online courses, webinars and video tutorials. The beauty of digital products is that they save you the hustle of dealing with inventory, shipping and returns as you would if you were selling a physical product. Digital products will also give you passive income long after you create them. You can make as much money as possible from a digital product. You simply need to create a product that will offer value to your customers and promote it well on your blog and other platforms so that it can reach as many people as possible. For some bloggers it’s possible to create a physical product or service associated with their blog’s brand. Depending on your niche, you can have a physical product or service based on your blog content. For instance if you blog about yoga or physical fitness, you could create an exercise mat based on your online brand. You could also hold offline physical fitness or yoga camps for a fee. If you have a good following of loyal readers, they may just be dying to buy a physical product or service from you as long as it will offer them value. Selling your own physical products/services eliminates the middleman allowing you to keep all the profits. Physical products also have a wider audience and not just limited to your blog audience. You can sell your products on Ebay and Amazon as well. You can monetise your blog by adding a membership area. Here you can offer premium blog posts, your digital product or simply a private forum. This area will have restricted access and only people who pay a monthly subscription fee can gain access. A membership section requires a good amount of work to keep the members interested in renewing the monthly subscription fee. You have to add new content, interact with the members, offer support at all times and make sure everything is working smoothly. Most importantly, offer something of great value that they can’t get from your regular blog posts. If you maintain your membership section really well you can generate huge amounts of recurring monthly revenue. After you start a blog, you need to continuously learn about blogging and new ways to make money blogging. Take time to invest in yourself and grow your skills so that you can beat out competition. To be a successful blogger you need to learn a number of skills: writing, marketing, social media, etc. If you have no experience blogging, we recommend starting a blog as a side hobby as you learn the ropes. You also get to take some time and find out if blogging is really something you want to invest yourself in long term. Before you make blogging a full time gig you need to fully understand how it works and how to actually make money. So don’t quit your day job or your other freelance gig…yet. 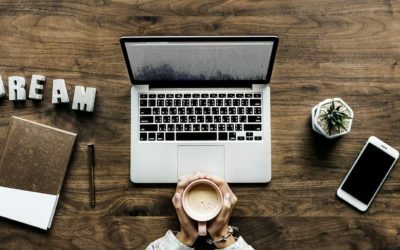 By having another source of income you get to take your time and create a good blog without having to worry about your finances as it can take some time before you start earning income. Build up some income first before making any big decisions. Money won’t start streaming in immediately. In fact many people can get frustrated by how long it takes them to start making any decent money. So be prepared to be patient. You might not see income for a while, but don’t let that discourage you. Continue to write and be consistent. In order to gain momentum it’s important to be consistent with your blogging. It’s more important to write 1 article a week than write 5 in a week, and then stop for 3 weeks after that. Make sure you have a vision for your blog. This will always be what will keep you on track. Think about goals and take practical steps to reach those goals. If you choose affiliate marketing as your preferred way to make money blogging, then come up with practical steps on how to promote the products/services you choose. Keep your eyes on the prize and put in the work that will get you to the prize. Ordinary people have done it. A lot of bloggers started in the exact same position as you. It can take time but the reward is big. There is huge potential for passive income in blogging so give it your best shot! Any more questions before you start your blog? Leave us a comment and we’ll be happy to help.